A slow-burning depiction of economic degradation in Thatcher’s England, Mike Leigh’s (Another Year) 1984 black comedy-drama Meantime was the culmination of the writer-director’s pioneering work in television and became his breakthrough theatrical release. Unemployment is rampant in London’s working-class East End, where a middle-aged couple and their two sons languish in a claustrophobic public housing flat. 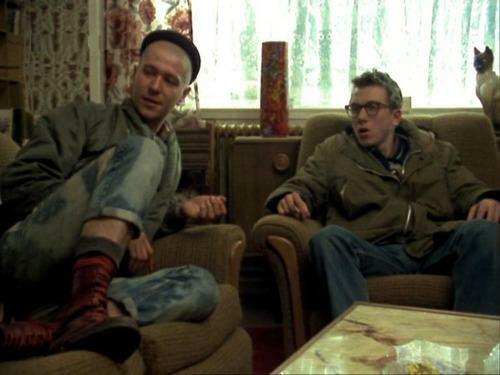 As the brothers (Quadrophenia‘s Phil Daniels and Tim Roth) grow increasingly disaffected, Leigh punctuates the grinding boredom of their daily existence with tense encounters, including with a priggish aunt (Marion Bailey) who has managed to become middle-class and a blithering skinhead on the verge of psychosis (a scene-stealing Gary Oldman, in his first major role). Informed by Leigh’s now trademark improvisational process and propelled by the lurching rhythms of its Beckett-like dialogue, Meantime is an unrelenting, often blisteringly funny look at life on the dole.